Why Don't I See the Visual Editor Tab? 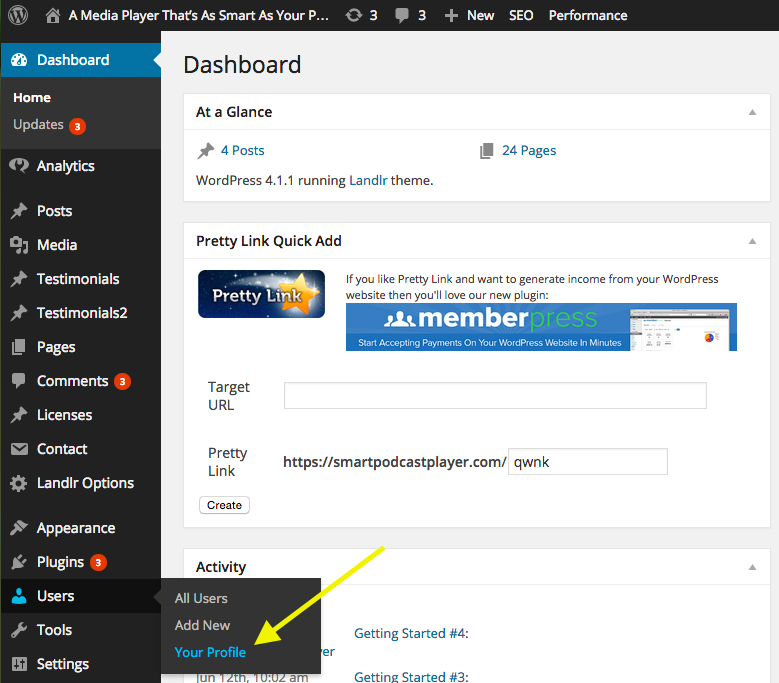 If you don’t see the visual tab in your page/post editor, don’t panic! You may have turned it off in your profile settings. It’s easy to turn back on. Go to Users -> Your Profile. 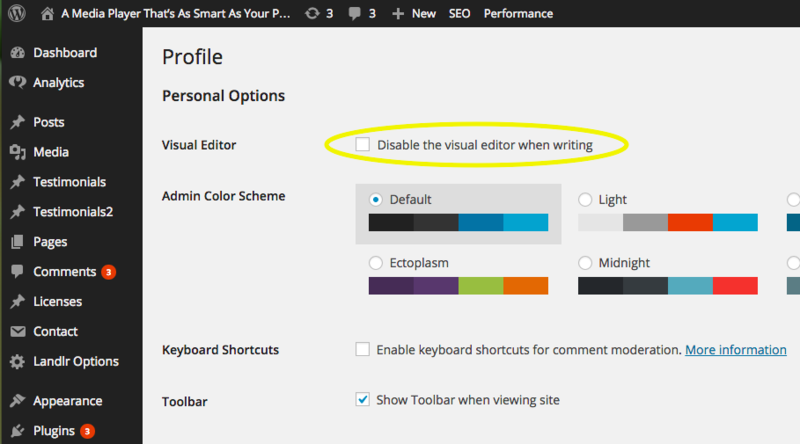 At the very top of the page, you’ll see a checkbox with “Disable the visual editor when writing.” Uncheck this box to enable the editor. Scroll to the bottom, and click Update Profile.